This title is the first thrilling Aurora Teagarden mystery from the bestselling author of the hit TV series "True Blood". 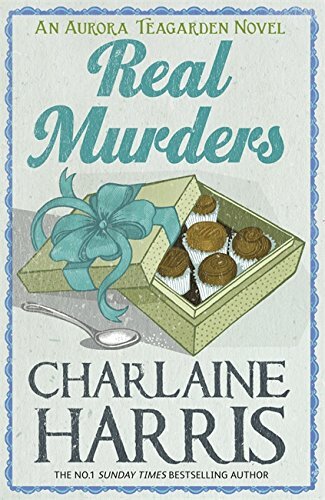 Librarian Aurora Teagarden reckons she knows everything about her fellow townsfolk, including which ones share her interest in the darker side of human nature, as she and her friends have formed a club to discuss real life killings. But fiction soon becomes fact as more and more bodies are discovered, and the similarities between prior murders and those of Aurora's fellow townsfolk become frighteningly common. This recording is unabridged. Typically abridged audiobooks are not more than 60 per cent of the author's work and as low as 30 per cent with characters and plotlines removed. An ingenious plot and sufficient flow of blood keep the pages flying in Harris's ( Sweet and Deadly ) third novel, as a series of killings patterned after celebrated murders is perpetrated on the small community of Lawrenceton, Ga. Twenty-eight-year-old Aurora (Roe) Teagarden, professional librarian, belongs to the Real Murders club, a group of 12 enthusiasts who gather monthly to study famous baffling or unsolved crimes. As a meeting is to begin, Roe discovers the massacred body of a club member. She recognizes the method of slaughter as imitating the very crime she was to address that night--suddenly her life as armchair sleuth assumes an eerie reality. The murderer continues to claim victims, each in the style of a different historical killer. Roe herself becomes a target, and also attracts two admirers, Robin Crusoe, a famed mystery writer new to Lawrenceton, and club member/detective Arthur Smith. Death seems to have infused new life into her waning social calendar, an irony not lost on this pensive character. Harris draws the guilty and the innocent into an engrossing tale while inventing a heroine as capable and potentially complex as P. D. James's Cordelia Gray.